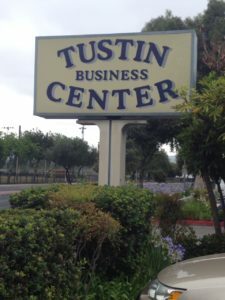 Our main training center is located at 17802 Irvine Blvd., Suite 123, in the Tustin Business Center. 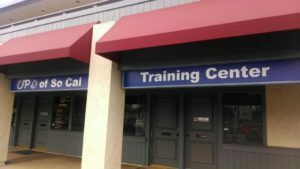 The parking is both ample (in the front and rear of the building) and well lit. 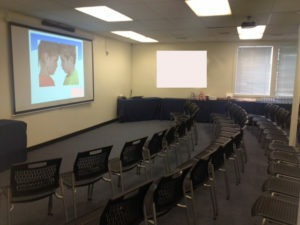 It has an extra large 120″ screen, projector (wireless and hard-wired), Wi-Fi, and a dry eraser board for training needs.